I love avocados—in sandwiches, sushi, omelets, milk shakes (yes, you read that right! ), and even alone! My family also loves avocados, and whenever I fly back West, my parents have a small collection of ripening avocados waiting for me to make a batch of loaded guacamole. It never lasts very long; everyone clears the bowl in just one go. But that’s not surprising considering both the health benefits and taste benefits of eating avocados. In light of the big game tomorrow, I suspect a lot of dips, spreads, salsas, and guacamoles to be found. 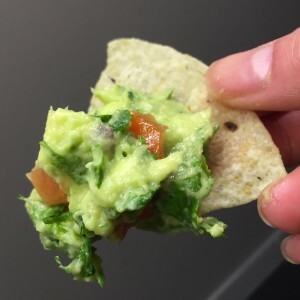 Here’s my favorite way of making guacamole—using just a few household ingredients, some fresh produce and a touch of salt, a delicious handmade concoction will be ready for consumption! Use your hands to mash together the avocado. I am a HUGE proponent of this method and swear by it; using your bare hands (or with a food prep glove if you’d prefer to keep it a tad cleaner) will allow you to work the avocado to just the right level of chunkiness! Skip the blender or food processor, and save yourself from an additional appliance to clean! Err to the side of under-seasoning, and use the taste-and-adjust approach. My philosophy is that it is better to start under-seasoned as it’s easy to adjust by adding more. It’s a lot more difficult to recover a situation of over-seasoning (without adding more base ingredients at least). I encourage everyone to play around with spices and seasoning ratios; try adding garlic powder, paprika, pepper, whatever is speaking to you! There’s so many flavor combinations that taste great with an avocado base. 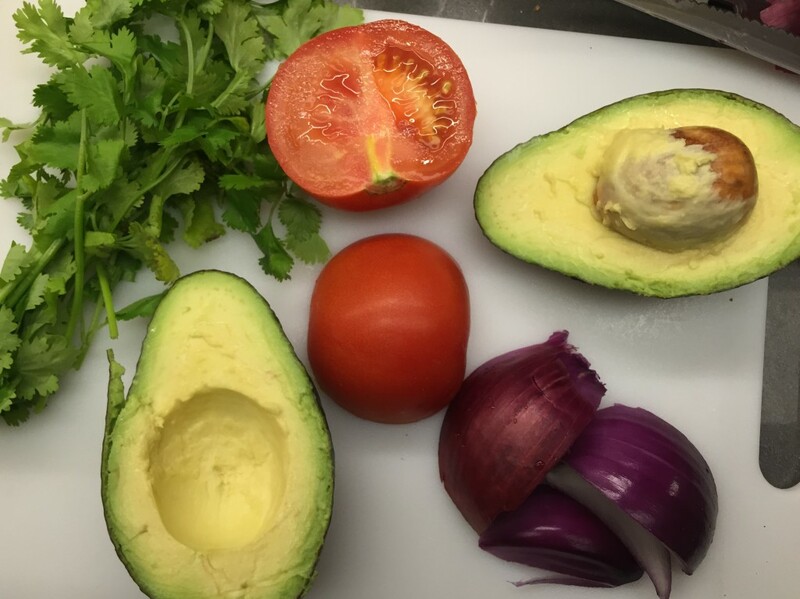 I hope that you enjoy my recipe, and I’d be interested to hear how you prepare your signature guacamole? The BEST guacamole recipe: creamy hand-mashed avocado loaded with fresh cilantro, tomatoes, onion, and lime--perfect as a dip, topping, or spread! Cut avocados in half, lengthwise. Remove the pit and score with a knife. 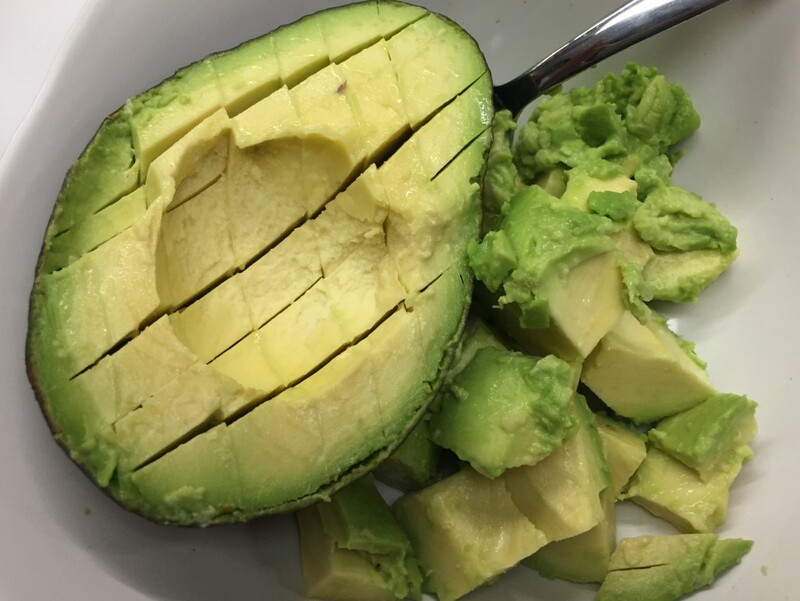 Scoop out avocado meat into a medium-sized bowl with a spoon. Mash the avocado chunks WITH YOUR HANDS until of desired chunky consistency. At this step, it is ok to have slightly under mashed, as incorporation of other ingredients into the avocado in later steps will help. Start by adding 1 tsp each of lime juice and salt to mashed avocados and thoroughly incorporate. Taste and add more lime juice and salt as desired. Cut tomato into quarters and remove seeds. Dice into small cubes and add to avocado bowl. Dice the red onion and add to avocado bowl. I prefer slicing into thin strips before finely dicing as this helps distribute the onion flavor more evenly and helps prevent getting mouthfuls of onion chunks. Finely chop cilantro and add to avocado bowl. Many people prefer only the leaves, but I find that the stems pack a lot of fresh flavor, so I choose to include of bit of that as well. Use hands to incorporate all ingredients together. Taste and add additional lime juice and salt as needed. Serve immediately, or can be stored for same-day consumption*. Enjoy! *If preparing beforehand, please keep in mind that avocados do form a greyish-brown color when exposed to air for prolonged periods of time. While it might not have the same green color, it is still safe to eat assuming safe storage. 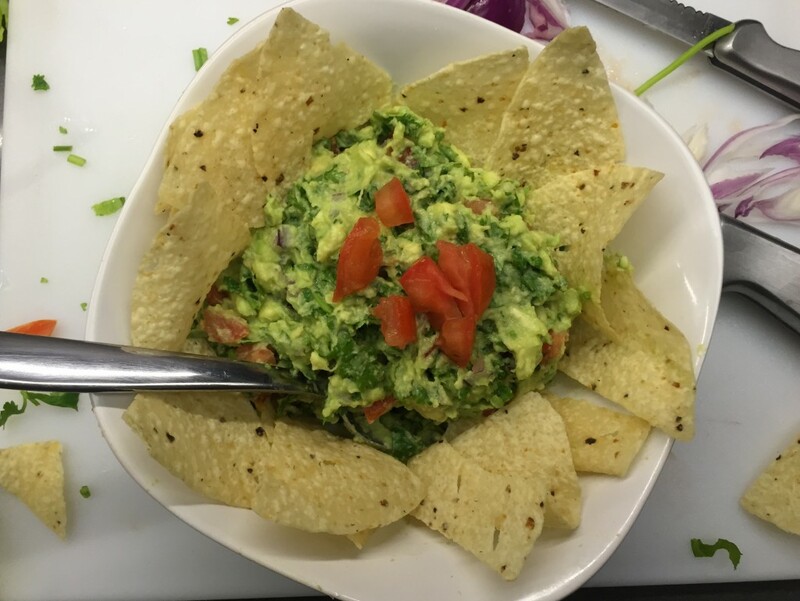 Loaded guacamole is served well with tortilla chips or pita chips. And for my carb-conscious friends, try using hollowed and chopped bell peppers as “chips”—fresh bell peppers are just as crunchy, and the natural grooves work well to hold a scoop of gauc! 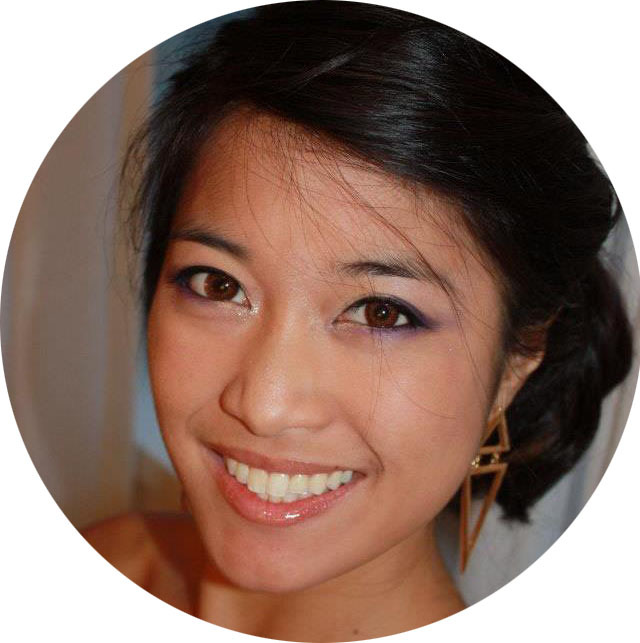 Happy creating, and happy Superbowl Sunday! Oh my! This looks so good! I love guacamole!!!! Seriously so yummy! Happy Monday!